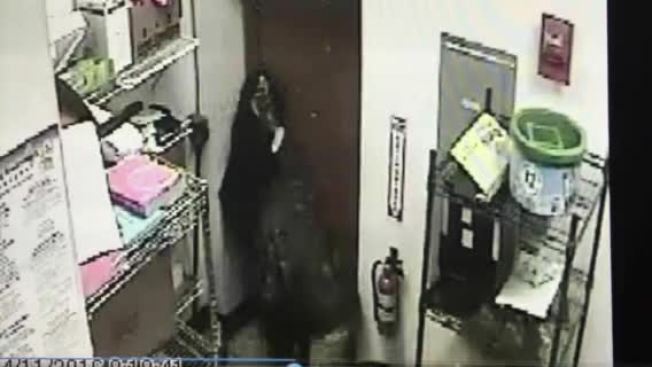 Police in Hooksett, New Hampshire, are looking for a masked man who robbed a Subway restaurant and fought with an employee. Around 8:26 a.m. Monday, Hooksett Police said they were called to the Subway at 140 Bicentennial Dr. for a report of a robbery. Upon arrival, police spoke to a Subway employee who had been confronted by a masked man wearing a camouflage jacket, tan pants, black boots and a mask over his face. The man went directly for the cash box in the store and then headed for the back door, police said. When the man reached the back door, the employee grabbed the suspect and struggled with him before he was able to escape. The employee followed the suspect outside the rear of the restaurant and saw the suspect get into a small black sedan with two other male occupants. The vehicle then fled the area. The Subway employee was not injured during the robbery, and no weapon was shown. Anyone with information about this incident is asked to call Hooksett Police at 603-624-1560.